Crochet website moving here soon! But for now here is my latest creation. Click on the thumbnail for a full size image. 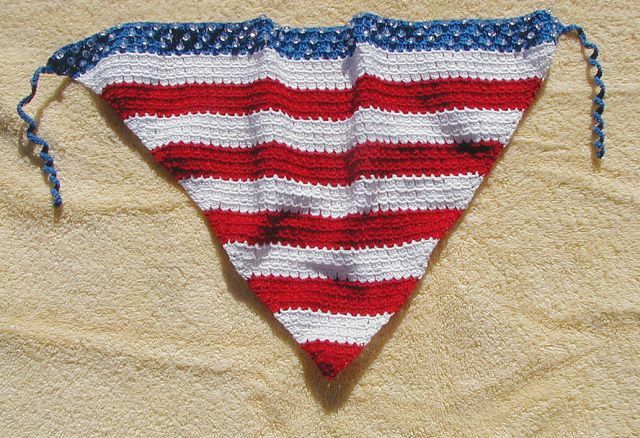 A 17"x 13"x 13" RED, WHITE, and BLUE flag scarf with approx 90 sparkling beads for stars. Its handmade from size 10 cotton thread and is hand-washable.